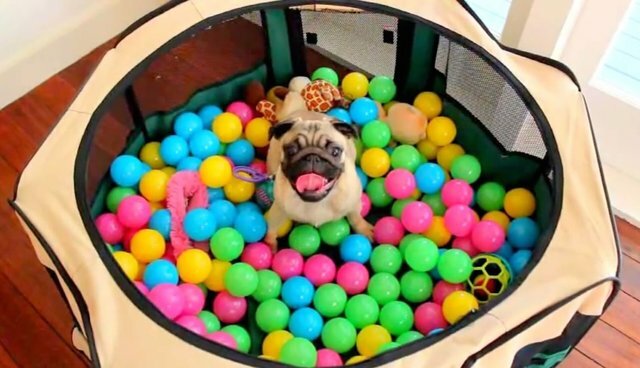 Grover the pug was in for a pleasant surprise when he found that his play pen was filled with his favorite toys and an array of florescent plastic balls. Once he was in his play pen, he went to town, stirring up all the toys and having a blast. His enthusiasm was so great, he actually managed to move his pen across the floor! 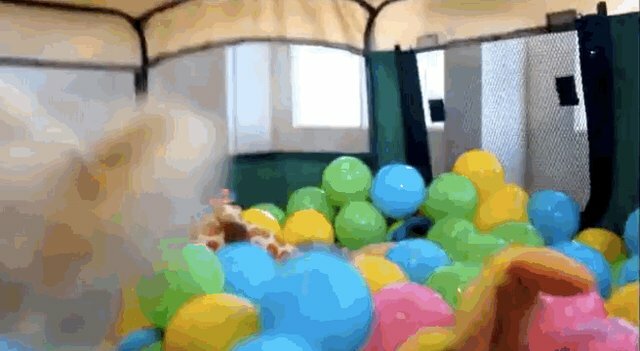 Having fun in a ball pit is hard work though, and Grover has to table his enthusiasm to take a bit of a breather. 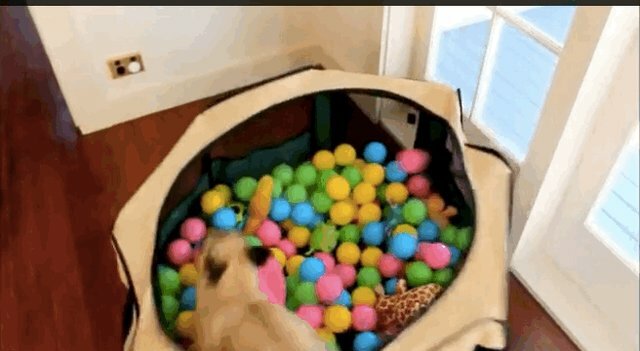 It's no easy feat being an energetic pug! 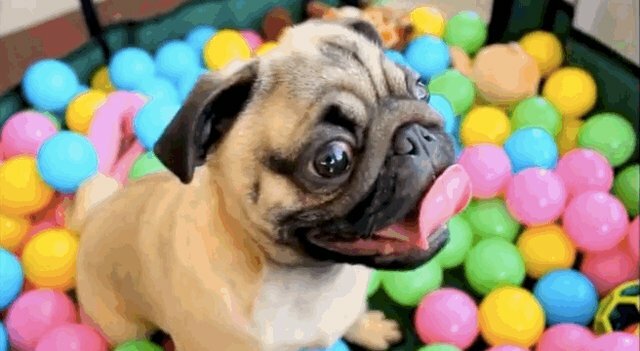 Though the indoor ball pit would be somewhat restrictive exercise for a larger dog, it works for Grover, as pugs can be very sensitive to outside heat and humidity.